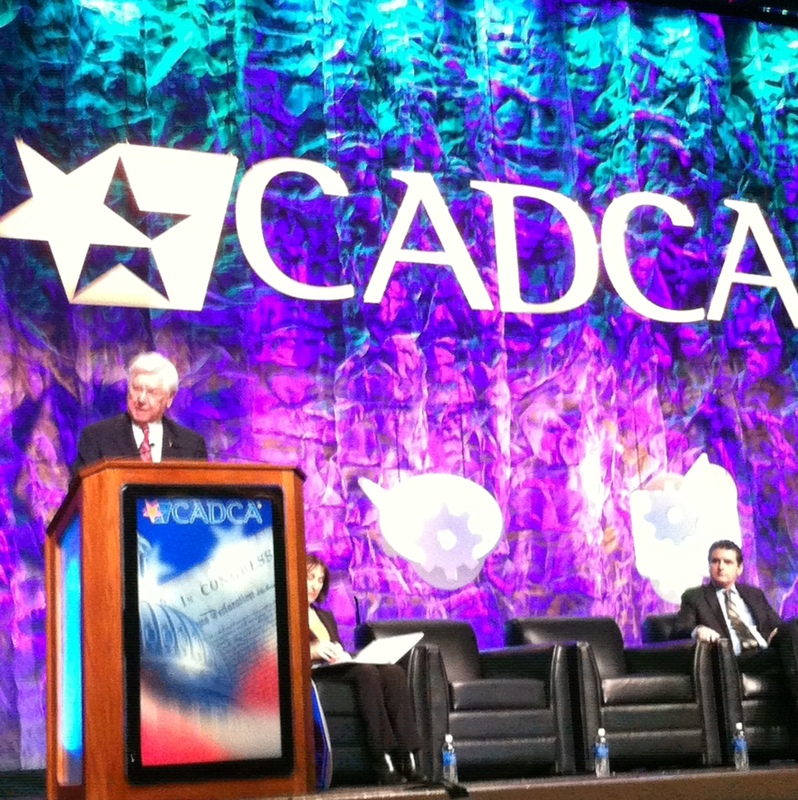 On Wednesday, February 6, 2013, U.S. Rep. Harold “Hal” Rogers (KY-05) received the Congressional Leadership Award from the Community Anti-Drug Coalitions of America (CADCA) for his unwavering commitment to keeping America’s youth drug and alcohol free. Rogers was joined by Senator Bob Casey, U.S. Reps Michael Fitzpatrick and Frank Wolf in receiving this honor for their work in helping to strengthen drug prevention and treatment programs across the country. CADCA (Community Anti-Drug Coalitions of America), is the national membership organization representing over 5,000 coalitions and affiliates working to make America’s communities safe, healthy and drug-free. CADCA's mission is to strengthen the capacity of community coalitions to create and maintain safe, healthy and drug-free communities globally. CADCA’s Congressional Leadership Award recognizes outstanding members of Congress who have championed legislation and strategies to protect and enhance the federal role in substance abuse prevention, education, treatment and research. Rogers joined with former Representative Mary Bono Mack to form the Congressional Caucus on Prescription Drug Abuse in 2009. Rogers has served Kentucky’s 5th Congressional District since 1981. With a focus on economic development, job creation, fighting illegal drugs and preserving Appalachia’s natural treasures, he has a reputation for listening to his constituents and fighting for the region he represents. For more information, visithttp://halrogers.house.gov/or follow Rogers on Twitter https://twitter.com/#!/RepHalRogers or on Facebookhttps://www.facebook.com/#!/CongressmanHalRogers.